The GF and I have been fans of Chef Sylva Senat since his Tashan days. His impressive resume includes Aquavit and Jean-Georges. Senat also helped to open Buddakan in NYC. Subsequently, Stephen Starr lured him to Philly with the 2nd Buddakan outpost. It was at Tashan though that we truly enjoyed the coupling of Senat's French technique with Asian flavors. Certainly a sad day when he departed the modern Indian restaurant. It closed a few years after, with owner Munish Narula emphasizing a decision to focus on his Tiffin empire. For Senat though, and true of most talents, it was on to bigger and better things. 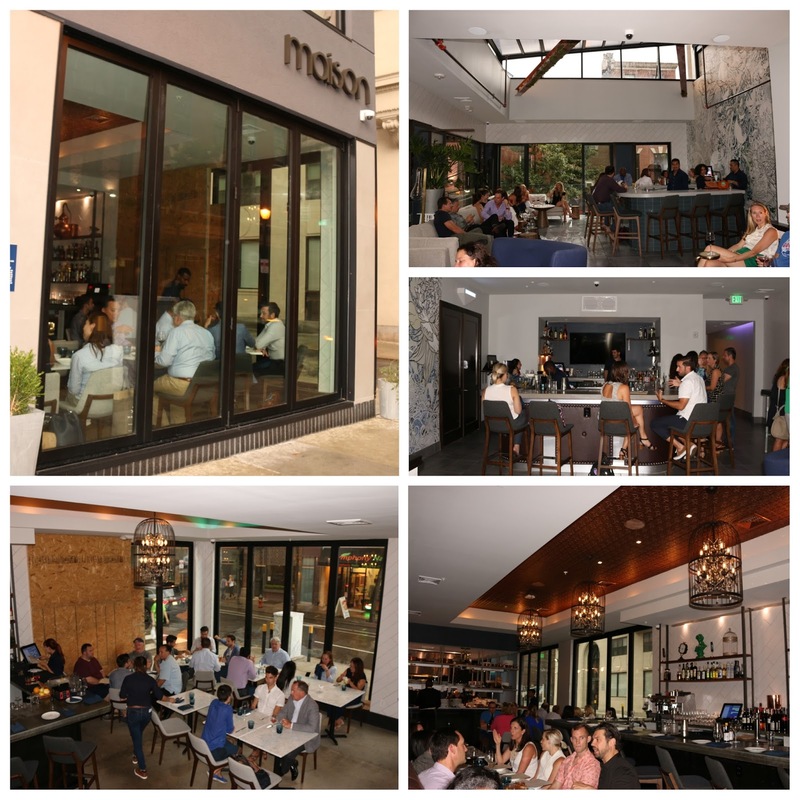 After his deep run on Top Chef Season 14 did Philly proud, Senat partnered up with proprietor Herb Reid and operations director Stephen Yaeger to bring us Maison 208, a bi-level New American restaurant with French influences. Before our 8 o'clock reservation with friends, The GF and I stopped by the sleek second floor lounge, which features Philly's first-ever retractable roof. How retractable? On the night we stopped by, there were a few rogue rain clouds resulting in trace amounts of rainwater by the bar! Understandably, the GF couldn't help but be tickled by her drink's name. 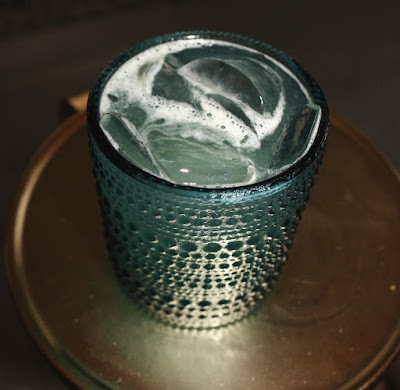 Better yet was its taste - the tequila was tempered by the sweet undertones of the agave, which really came through. 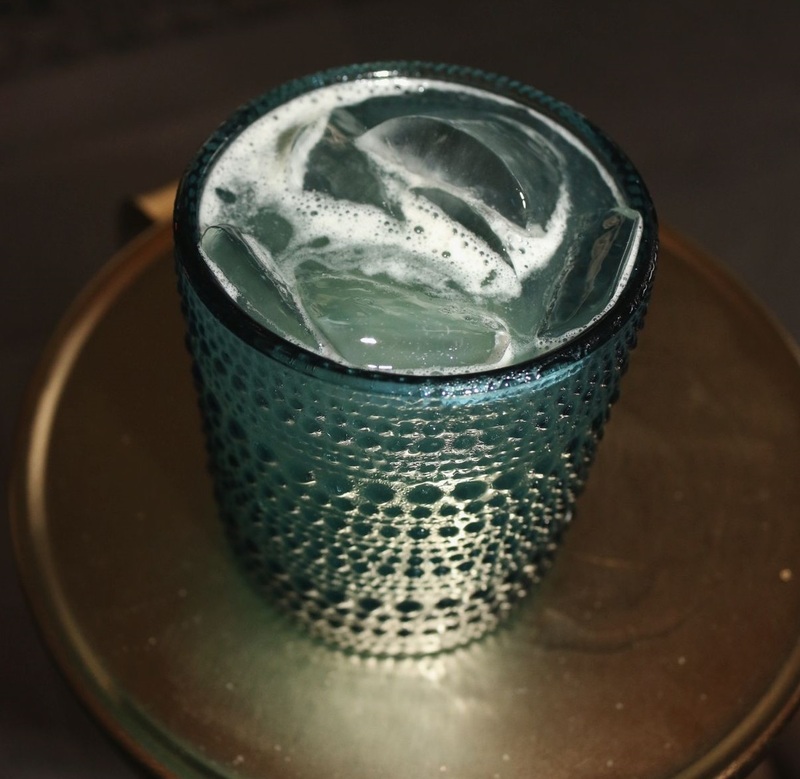 The Boardroom Beet liqueur had grassy notes, with a light, peppery finish that was accented by the peppercorn. Really easy drinking for the summer nights. Shouldn't be a surprise that I opted for the R.R. 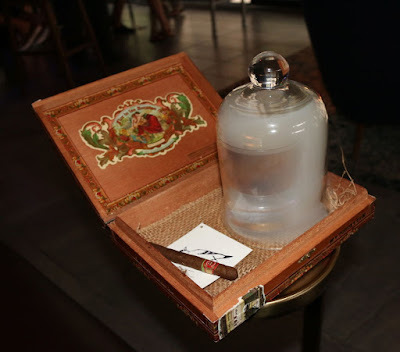 Cigar, which features a foundation of Lagavulin 16 year. Not that I needed an excuse, but it was also National Scotch Day (there's a day for everything these ... days)! Even if you're not used to smoky Islay, if you're interested in a drink with a bit of pomp and circumstance, this is the one for you. You'll get quite a few head-turns, what with a dome of smoke immersing your drink before you even have a taste. 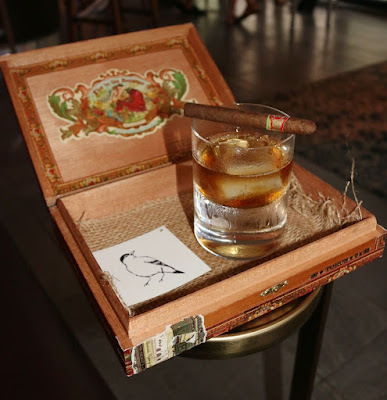 The perfume of tobacco smoke accents the nose from the whiskey, with malt and sherry coming through on the palate and balancing nicely with the smoked vermouth. Really smooth, with a great finish of sweet figs and vanilla. And yes, it comes with a mini-cigar from Cappelli Bros. Cigar Co. across the street. But alas no, you can't smoke it within the confines of Maison 208. A testament to how busy the restaurant was, we were more than half an hour past our reservation. But no matter, we were all enjoying Yaeger's creations. Ultimately, the friendly hostess stopped by and escorted us to our four-top on the first level where we met our server, Bryant. Engaging and personable, he didn't hesitate to provide recommendations and let us know that for much of the menu, the intent is to share. Perfect for our night's crew. Seeking some vino with dinner, we settled upon the Cinsauit upon Bryant's rec. 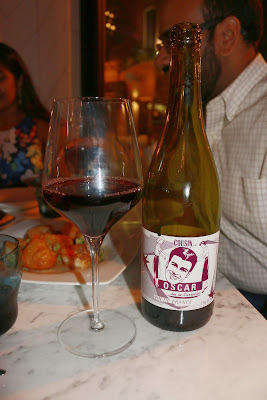 Redolent with red plum and cherries, this was highly reminiscent of Pinot Noir or Grenache. Easy summer quaffing. For the meal proper, we started off with the lollipops, which are sure to be popular in the lounge. Deftly fried, the crispy exterior yielded a blend of Yukon and sweet potato housing a Kobe beef curry center. Feel free to dip into the light, yet heady truffle foam, with "gold" puffed rice offering additional texture. These typically come three to an order, but the kitchen was able to accommodate for four. (Note that actual menu pricing is provided throughout the post). 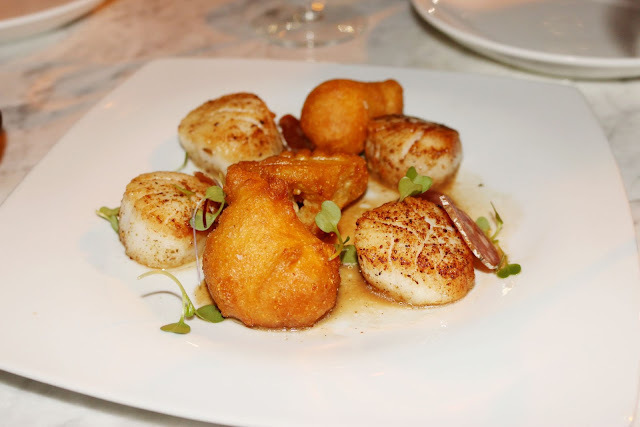 Diver scallops were also customized for four, with a light sear providing a salty contrast to emphasize the innate sweetness of the bivalves. 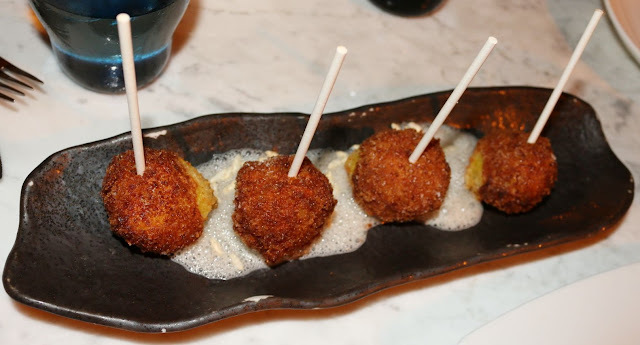 Sweet, crispy hush-puppy beignets provided additional substance to the dish, with the bits of crispy pancetta and brown butter sauce offering some savory, nutty richness to tie everything together. Pork Griot is a popular Haitian dish, with citrus and Scotch Bonnet-marinated pork simmered until tender, and finally fried. 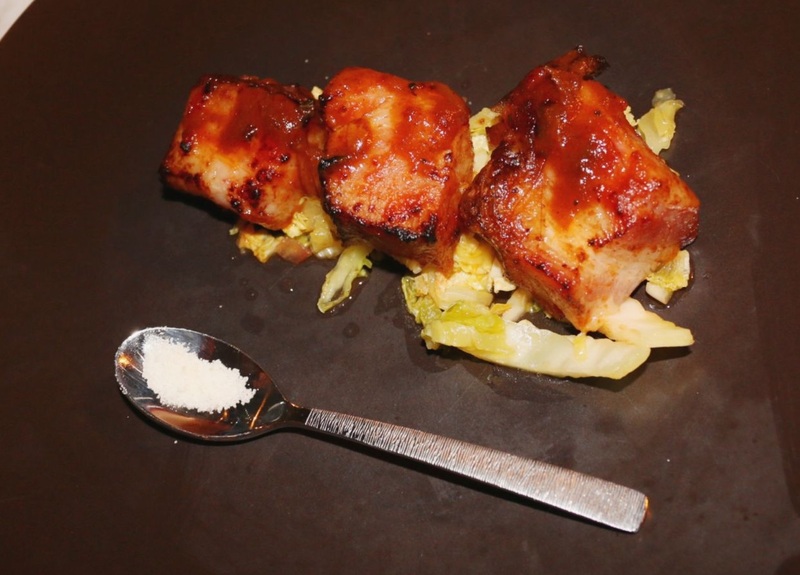 Maison 208's iteration features the belly in a 12 hour braise, expectedly tender and unctuous. The pork itself was more sweet than spicy, with a spoon of Scotch Bonnet sea salt on offer if you're looking to amp up the salt and spice level. The "Pikilis" pickled slaw offered some countervailing relief from the heft of the belly. I will say that I was missing a bit of finesse and texture. Also unsure why four pieces couldn't be accommodated here as well (to be fair, we didn't ask, but wasn't offered). 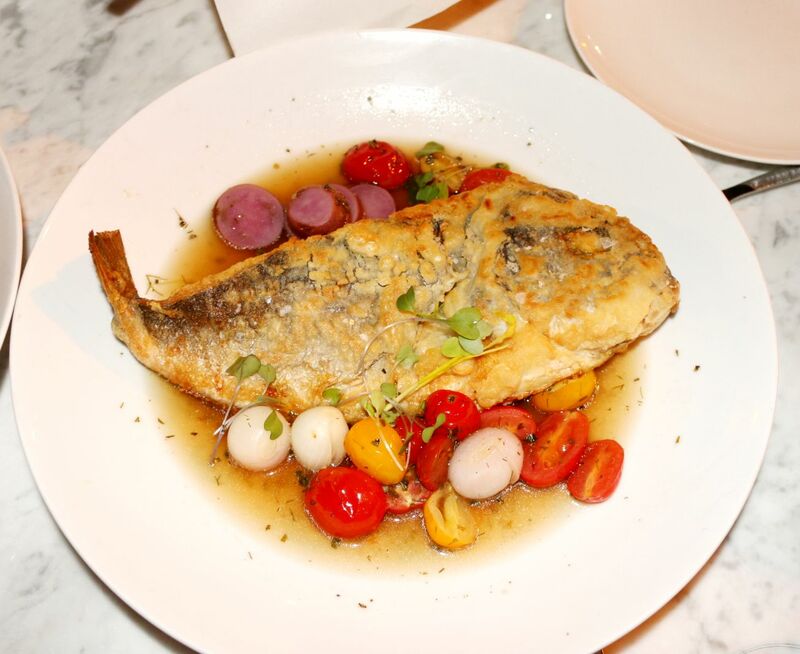 Our table couldn't help but want to order the Chef-recommended sea bream aka dorade. It's beautifully crusted and pan-fried, with a light seasoning on the exterior to emphasize the clean, meaty fish and the light consomee. As you might expect, there will be more than a few bones to pick out here and there, but certainly manageable. A gorgeous kaleidoscope of purple root vegetables, pearl onions, and tomatoes rounded out this beautiful dish. 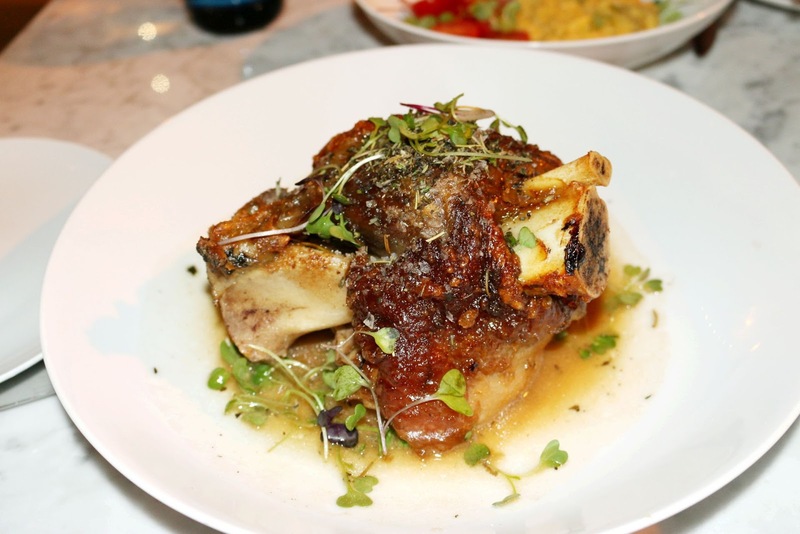 The pork shank is a show stopper and a must order in my mind. Porcine flavors and textures are allowed to shine and to stunning effect. I appreciate the dichotomy in textures with the crispy skin yielding to a flavorful, gelatinous layer which further falls away away to tender strands of pork. I did miss the haricot verts, though we did order plenty of sides to complement the shank. The sweetness of the corn pudding could not be denied, but helped to provide some balance to the pork dish. 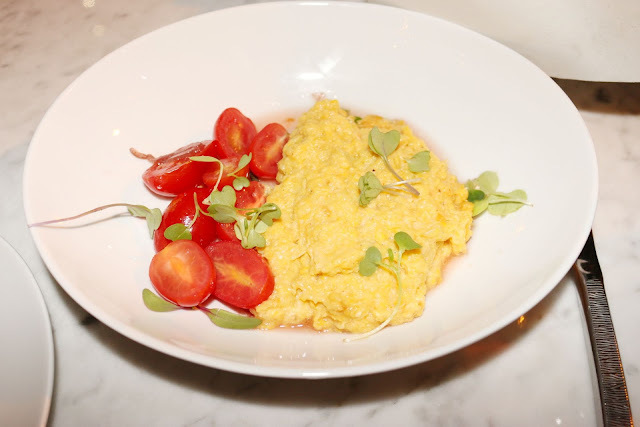 The sweet acidity from both the fresh heirloom tomatoes and aged sherry vinaigrette helped to round out this dish. You need veggies with your meal, right? In my mind, french fries count! And when they're perfectly done, why not? 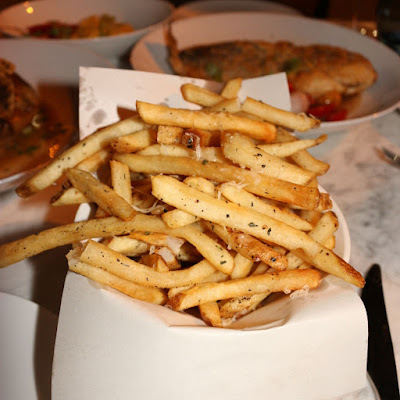 Fries were crisp on the exterior and tender within. The garlic truffle oil was certainly present, but complemented the shaved Gruyere rather than overpowering. I'll be interested to see how Maison 208 continues to progress as it's only been about a month since opening. Based on his Instagram, I suspect there's constant tweaking and development coming from Chef Senat. In the meantime, a bottle of wine, the pork shank, and an order of fries seems like the perfect meal to me. The lounge is already hopping and will likely continue being a hotspot for drinks and smaller bites.